Chair of the Week- Untouchable Unwind Deals that will Save you $100- $1000. Delivered Fast Nationwide- While Supplies Last! 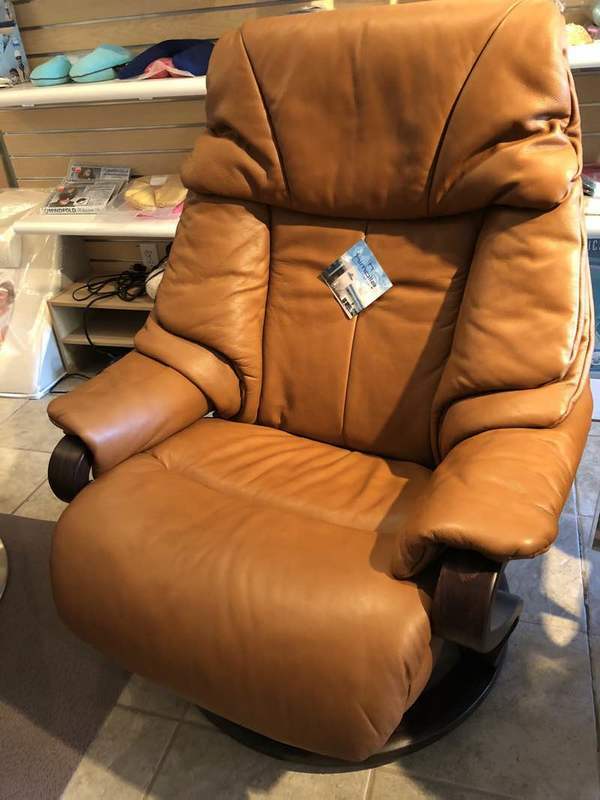 This weeks special deal is a Brand New Himolla Palena Recliner with integrated ottoman wrapped in exquisite 31 Longlife Cognac leather with Wenge stained wood base. A popular model for those seeking a beautiful, ultra-luxurious recliner with integrated ottoman. Original price $3698.00- This week only $2489! Don't forget about our free white glove delivery and sales tax benefits. Also add a beautiful matching Himolla laptop table (available at a discount as well). Click here for more information on Himolla Palena recliners- They are available in a very limited supply so call, chat or email today for additional information. Call 888-486-9463 or click the chat button with questions or to place your order.